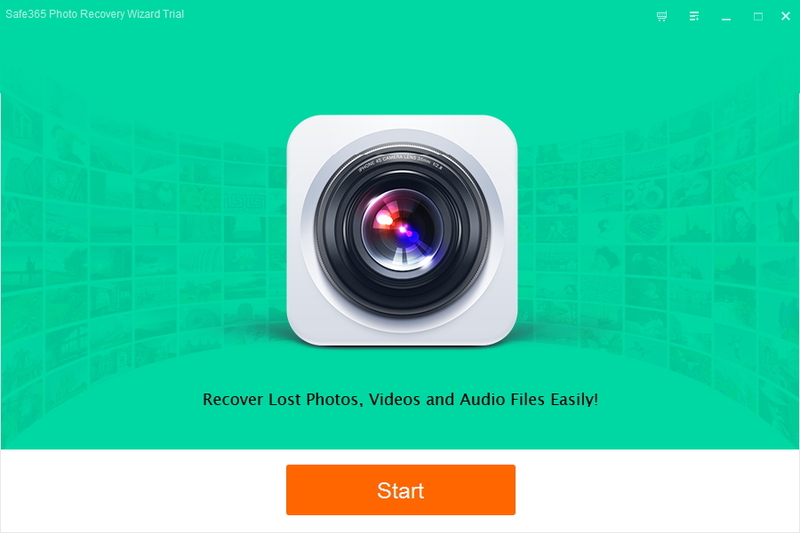 Safe365 Photo Recovery Wizard is pretty simple-to-use photo recovery software to recover lost, deleted, formatted or corrupted photos, videos and music files from PC hard drive, external hard drive, USB drives, SD card, SDHC, MicroSD card, CF card, xD picture card, digital camera, and more storage devices. It supports all types of image, video and audio formats, such as, JPG, PNG, BMP, GIF, AVI, MP4, MOV, 3GP, MP3, WAV, etc. Step 1: Download, install and launch Safe365 Photo Recovery Wizard, click "Start" button. Step 2: Please select location of lost files. 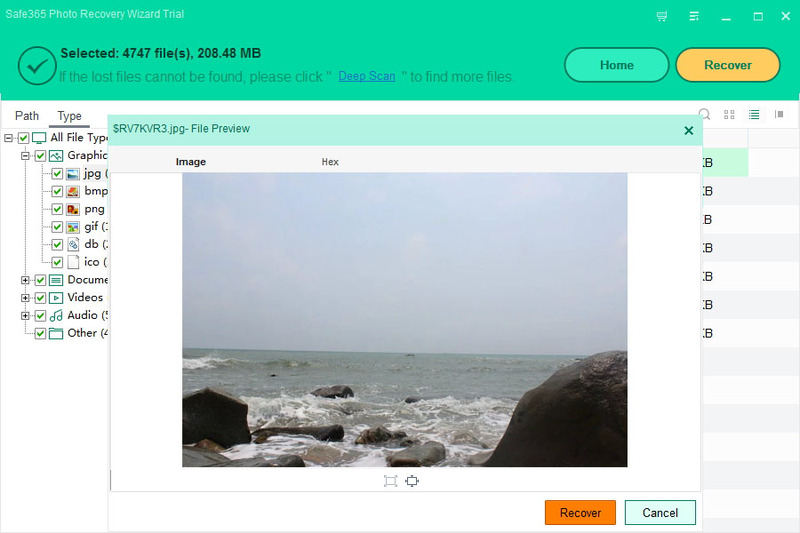 Step 3: After the preview or search, you can select the targeted files and press Recover button to recover and save them on your computer or storage device (Please DO NOT save the files into the drive or device where you lost the data). If the lost files cannot be found, please click "Deep Scan" to find more files. Deep Scan will perform a new sector by sector scan, which will take longer than the first scan. Please be patient and do not interrupt it in the middle of the process if not necessary.